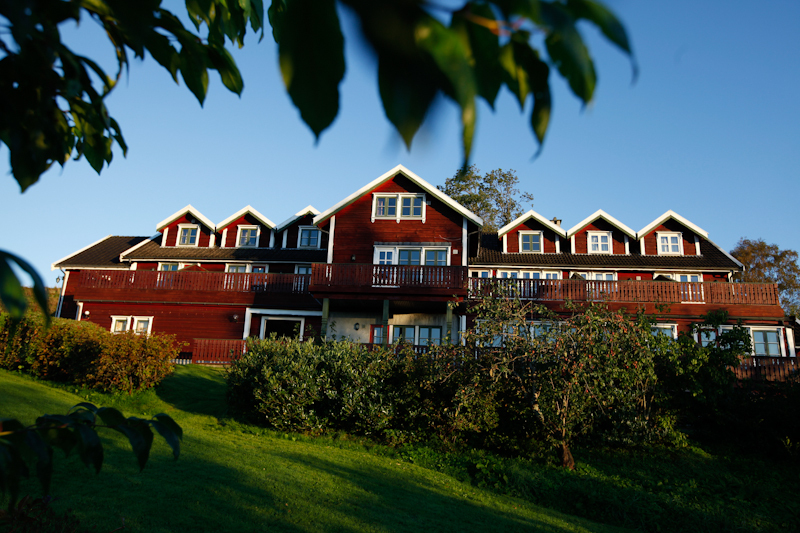 At Bjørnafjorden Hotell we strive to create a relaxed and informal atmosphere to backdrop our courses and conferences. The intimacy of our facilities and the nature of our staff make us a good and solid choice in supporting your business ventures. Our staff can help you tailor your needs according to your wishes. Our guesthouses include 35 bedrooms and we have four meeting rooms at the disposal of your business needs. We also have a lovely restaurant and a living room with a cozy fireplace where you can relax after a long day’s work. We can host up to 100 participants depending on your group set-up. We have flip-overs, projectors and all the technical equipment you require. To make that meeting extra efficient we recommend some of our home-baked produce along with some coffee to keep you going until dinner.